The handling is agile, responsive and smooth with sharp braking. The Lexus IS 300h hybrid offers the best in terms of fuel economy returning up to 65.7mpg. The 2 litre turbocharged 220bhp petrol engine is the quickest pulling the IS to 62mph in just 7 seconds, 1.3 seconds quicker then the hybrid. The interior is typical Lexus with craftsmanship and pain staking attention to detail apparent throughout. 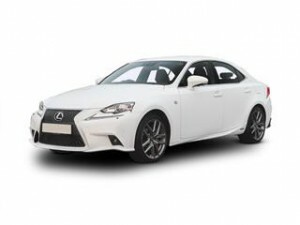 Like all Lexus cars this is well equipped as standard, including alloy wheels, electric windows, power adjusted wing mirrors, Bluetooth, 7-inch screen and DAB radio. Boot space should cope with most occasions thanks to the generous 480 litres on offer in the standard petrol version, however the hybrid has 30 litres less thanks to the batteries. Owning your own Lexus IS could be easier than you think with your dream car just a few clicks away. Don’t ever pay direct dealer list prices when you could save thousands using Coast2Coast Cars and the service we offer. We constantly update the dealers offers we have for the best price on your next new Lexus. Our service is of course free and with no obligation. See how much you could save as well as what finance options are available to help you purchase your new car.